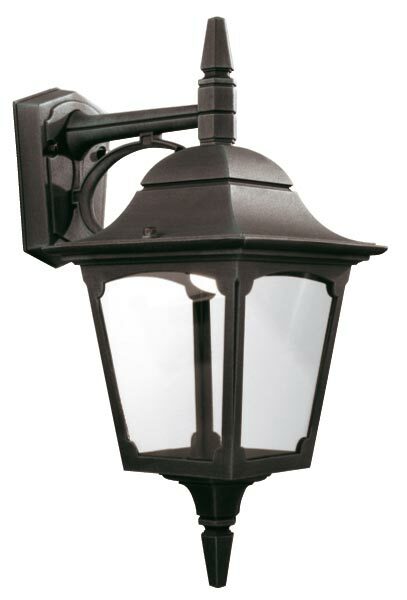 This Elstead Chapel 1 light downward outdoor wall lantern in black with clear glass and rated IP44 features simple classic style, with tapered cast wall mount and braced straight arm supporting a downward tapered lantern, with arched window panels, clear glass and lower finial. Simple yet classic lines are the trademark of the Chapel and Chapel Mini ranges. Manufactured from die-cast aluminium, these fittings are offered in a black finish and come supplied with clear glass panels. 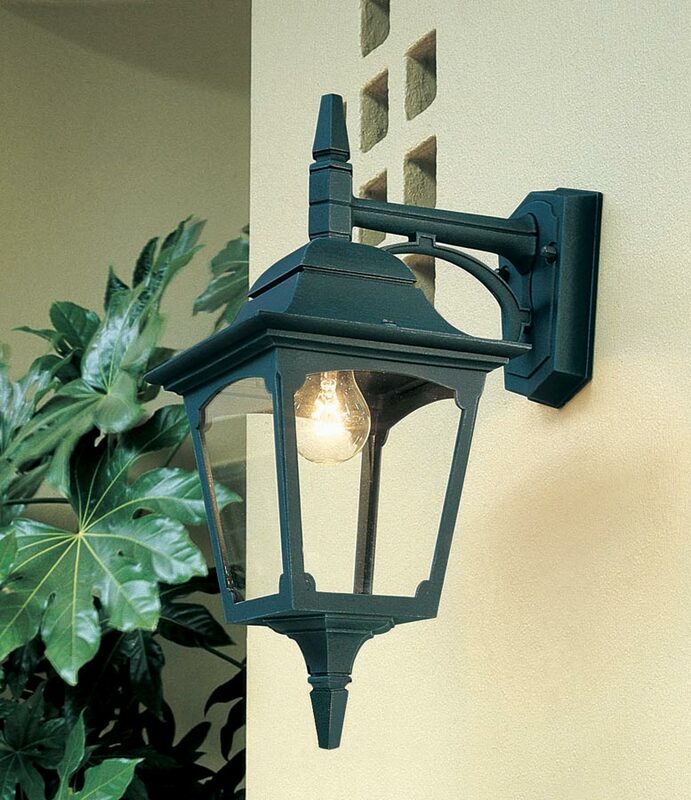 Part of the Chapel outdoor lighting range, a quality cast aluminium outdoor wall mounted lantern with ten year anti corrosion guarantee. A corner bracket is available to mount this wall light on the corner of a building, please see the EL-C/BKT3. There are matching fittings in the Chapel lighting range, please see below. This exterior light is supplied by Elstead Lighting, a British company that specialise in the manufacture and distribution of quality decorative lighting such as the Chapel 1 light downward outdoor wall lantern in black with clear glass and rated IP44 you see here.